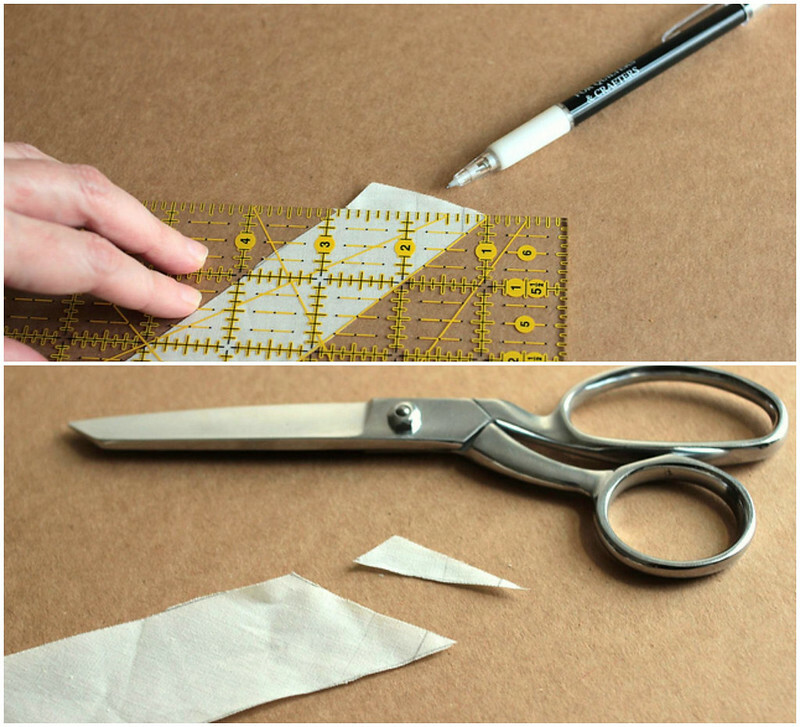 This sewing tutorial shows you how to make your own bias tape, without any fancy gadgets. Bias tape is helpful for easily finishing the edges of items that have rounded edges, thick layers, or that are generally not easy to hem. 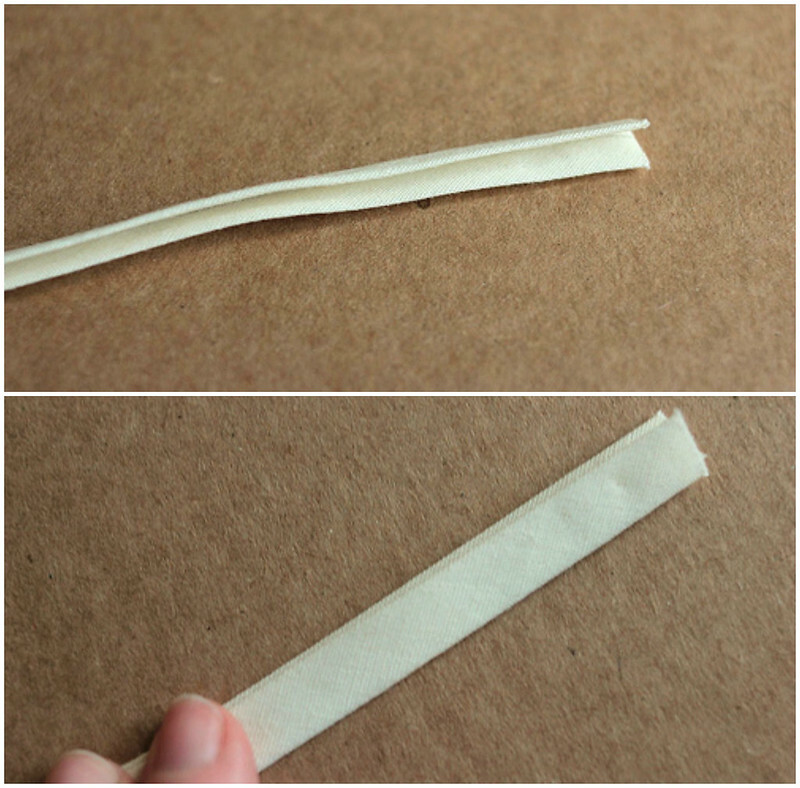 Bias tape encloses the edge of your item, covering your raw edges. Pick a matching color for your bias tape, or a contrasting one for a neat design idea. Check out more of my Sewing How-To’s and Sewing Patterns. Next, you’re going to mark your lines. 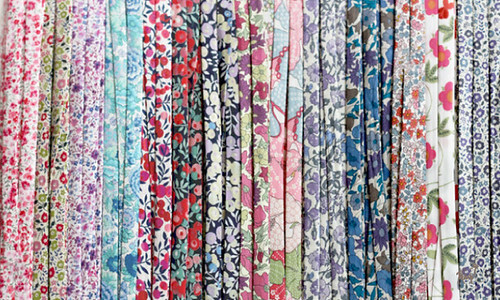 To do this, first find your grainline of your fabric, then a 45 degree angle from it. 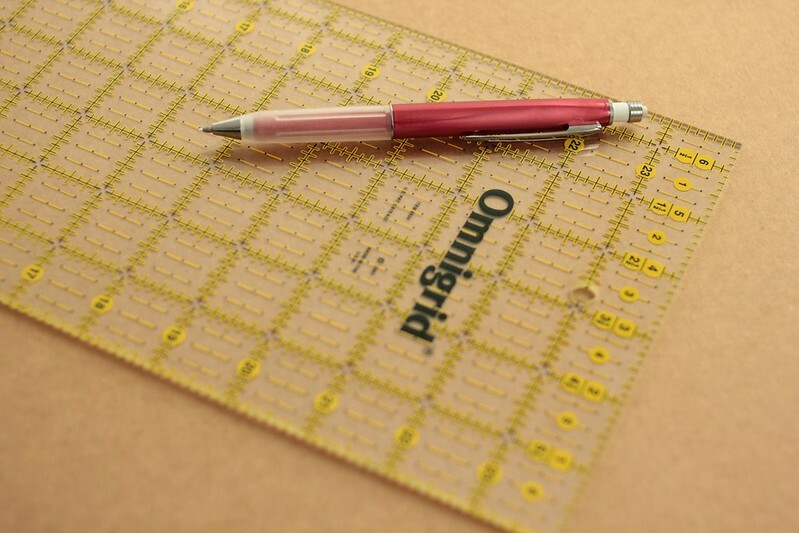 Draw a line at the 45 degree angle, and then mark parallel lines in width you calculated above. 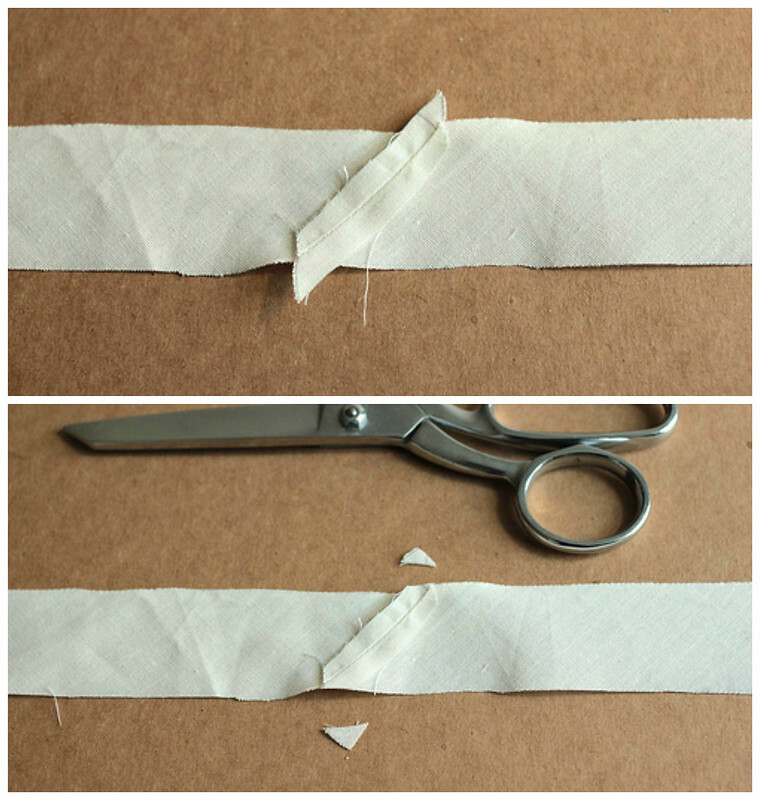 Cut your fabric along the lines so you have a bunch of strips. 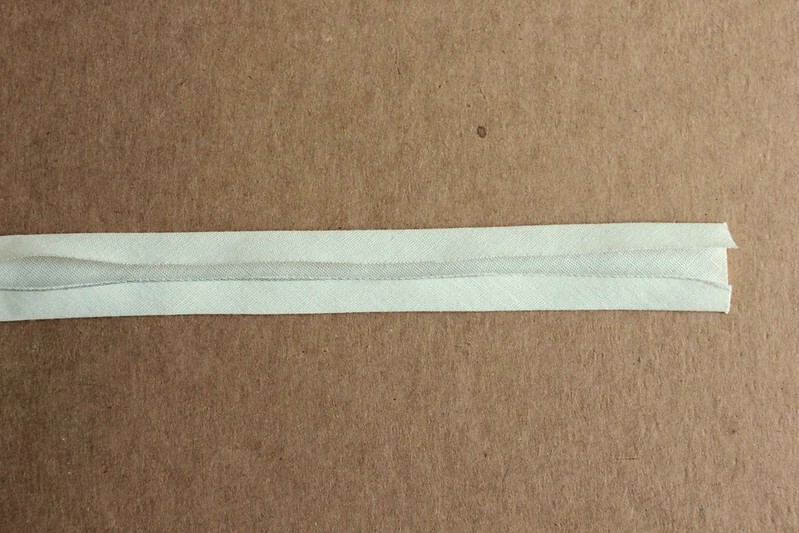 In order to connect your bias tape strips easily, you need to draw a 45 degree angle line across each strip end. Then cut. Line up the ends of each strip, as pictured, with 1/4” hanging off at each side. Stitch together with 1/4” seam allowance. Repeat for each of your strips, joining them into 1 long strip. 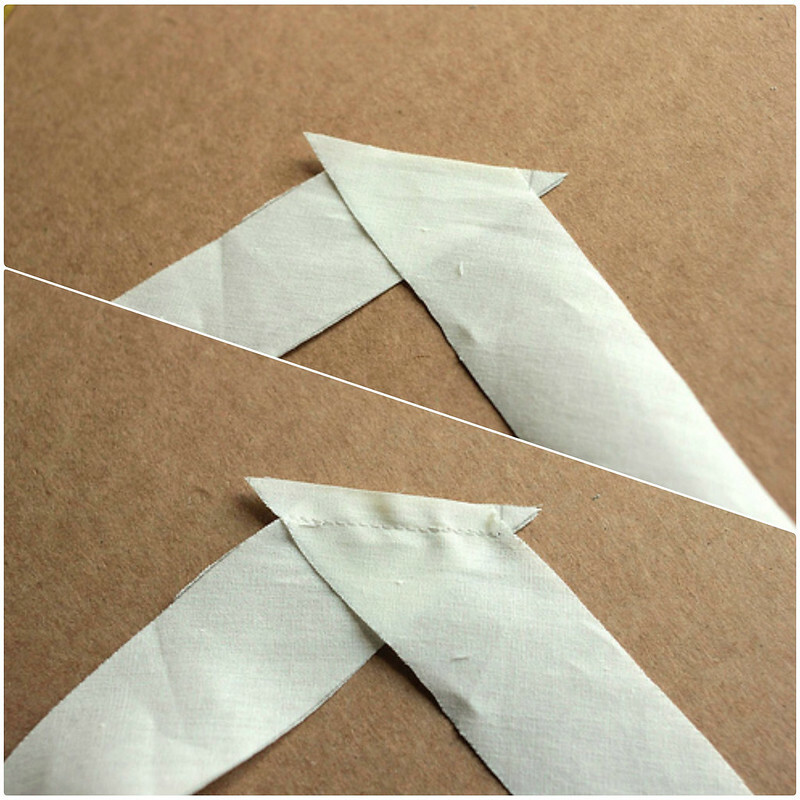 Press your seam open and trim off the excess triangles. Press the edges toward the center. For double fold tape, press in half. At this point, leave one side a little longer than the other (about 1/16” or 1/32”). This will make it easier when you sew, if you align the longer side on the bottom (where you can’t see when you’re sewing). That’s it; you’re done! 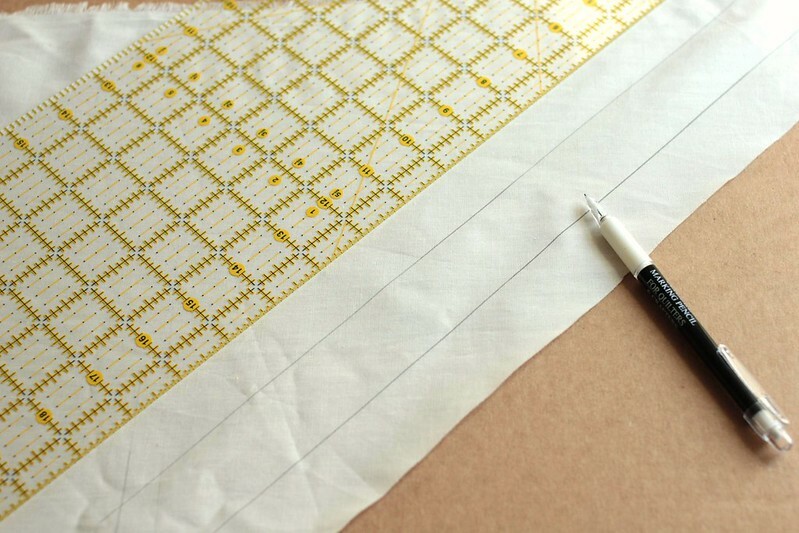 Now use your bias tape as edging, or as piping.